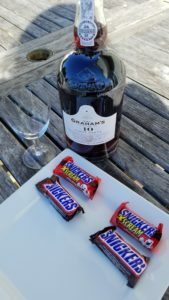 When I received an email about a port and candy pairing and saw Snickers on the list, I knew I had to give it a try. I love a good Port after dinner and I love Snicker so they must be made for eachother. Thanks to Michelle at Calhoun & Company for sending me a bottle of Graham’s 10 Year Town Port I then headed to CVS to find me some Snickers. I must live in a candy bubble, because since when are there four different kinds of Snickers. I’m a traditionalist, so I purchased the traditional Snickers and I thought I’d try the Xtreme Snickers. That seemed to have extra peanuts. We’ll see how they both fair on the pairing. In our house I always would freeze the leftover Halloween candy, so I thought I’d do this pairing with frozen and not frozen candy bars. See how they each hold up with the Port. Snickers – Love the caramel and peanuts with the milk chocolate. $2.50 bag. For the pairing I did a video only my phone for some reason didn’t record the audio, only the video. I did a voice over. 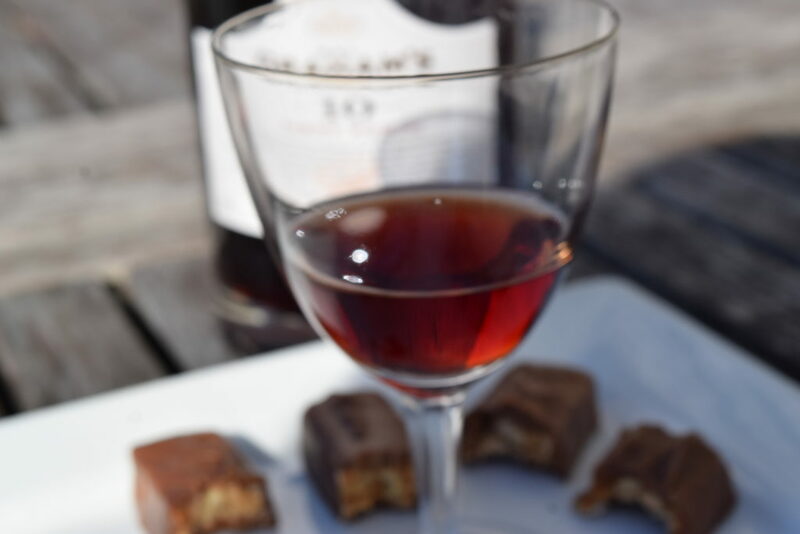 The Port cut through the milk chocolate and caramel of the traditional Snickers bar and it became so very creamy and the nuts just blended so well with the Port it was a great pairing. I thought the Xtreme Snickers was to overpowering with the nuts and didn’t give the Port ample playing time on your palate. With the frozen candy, the flavors didn’t stand up to the Port. The candy was to cold and the flavors of the candy just didn’t show up. What is your favorite Halloween candy pairing?